nj arts maven: Create a Great New Year—Enroll in a HAM Class! Get your new year off to a creative start by enrolling in a HAM class. We have a terrific winter lineup planned—so come in out of the cold and fire up your passion for art. All our classes are taught by professional artists and teachers. Below are just a few highlights, but you can see all our adult classes here and our after school programs for kids here! Pop Art (starts Monday, Jan. 8): Pop Art is young, fun, and bold – just like you! Learn about influential Pop Artists, their work and unique styles through painting, printmaking and mixed media projects. Learn More! Art From Around the World (starts Tuesday, Jan. 16): Join us on a journey learning about different cultures of the world through art. We will explore different artistic traditions through drawing, printmaking, painting and sculpture. Learn More! Drawing & Painting for Teens (starts Wednesday, Jan. 17): Here's a perfect class for teens who want to learn to draw or strengthen their skills. They will learn how to draw and paint from observation using the fundamental elements of design: line, color, form, texture, shape, value and scale. Learn tips and tricks and experiment with dry and wet media such as pencil, charcoal, conte, pastels, ink and acrylics. Learn more! Intro to Watercolor: Methods and Materials with Wendy Hallstrom (starts Tuesday, Jan. 16): An introductory watercolor painting class for beginners that will build your confidence and unique style in a fun, relaxed atmosphere! We will cover methods and materials -- what to use and how to use it! Warm up painting exercises and weekly lessons will cover essential watercolor skills such as washes, edges, dry brush and wet-into-wet. Learn More! Portrait Drawing with Oscar Peterson (starts Wednesday, Jan. 17): Learn the principles of portrait drawing with live models. Various methods for depicting a realistic likeness in graphite and charcoal will be explored and each step of starting, establishing, and finishing a drawing will be demonstrated. Facial features, anatomy, shading and proportion will all be covered. Learn More! Start your new year off with a new job! We have an opening available for Weekend Administrator and are looking for Art Education Faculty members at our Museum. The Weekend Adminstrator position is to supervise the Museum on Saturdays. Duties include greeting visitors and directing guests to the program or gallery they wish to see, answering the phone, registering students for classes, updating the Museum's database and lists, and making sure the building’s operations are functioning. Learn more and apply! We're also seeking Art Faculty members to teach children’s art programs including after-school classes, summer camp, birthday parties and Scout programs. We have day, evening and weekend positions available. 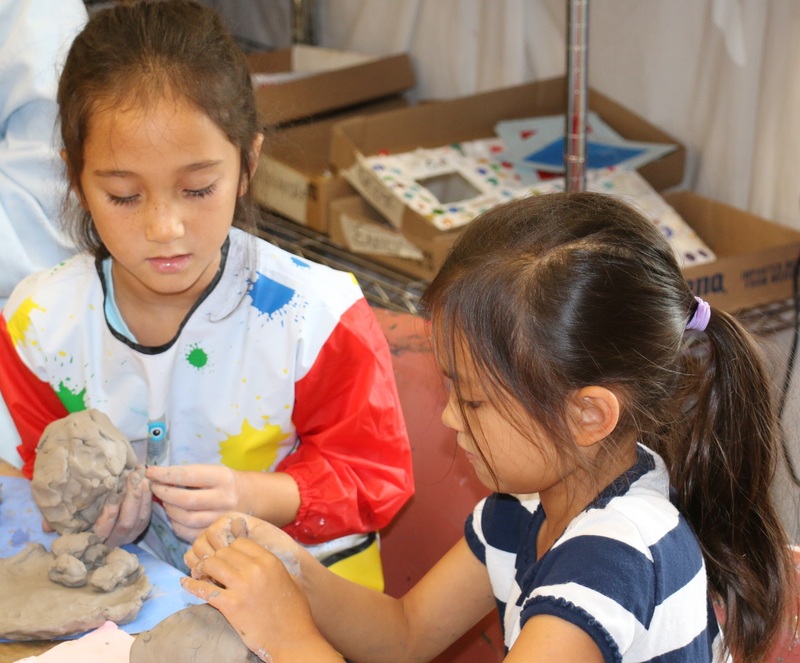 Kids’ art classes are offered evenings after school and weekends. Summer Camp faculty members teach 9 a.m.-noon and/or 1-4 p.m. Monday to Friday between June and August. Birthday parties and Scout program times vary, but are mainly offered on the weekend. Learn more and apply!